As impossible as it sounds there is actually a shonen fighting anime and manga that goes overlooked despite the fact that it is really good. That series is Kekkaishi. As a show with a protagonist with a power and personality that is outside the norm, a strong female lead with skills different but equal to the main character, and an actually developed romantic subplot that is constantly in the narrative but not overwhelming, it is sad to see it so overshadowed. With the manga ending, the anime finishing its run on Adult Swim, and the box set finally coming out in English it seems like the perfect time to do a little analysis on this series and what sets it apart from the pack. Stop complain about shonen fighting and support something that actually approaches the genre well! 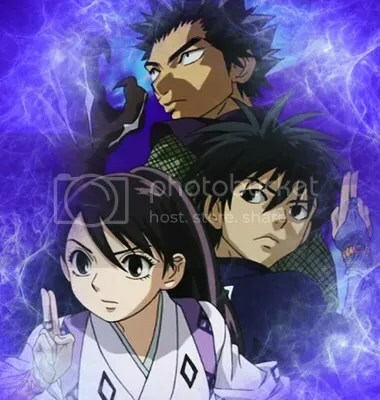 Well you got me to watch Kekkaishi, so only 4 more to go.